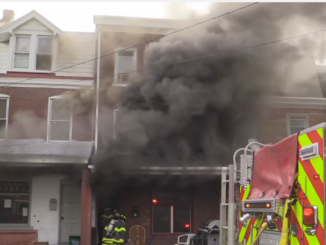 HomeApartment BuildingExotic Birds killed in 2-alarm fire in Walnutport, PA. 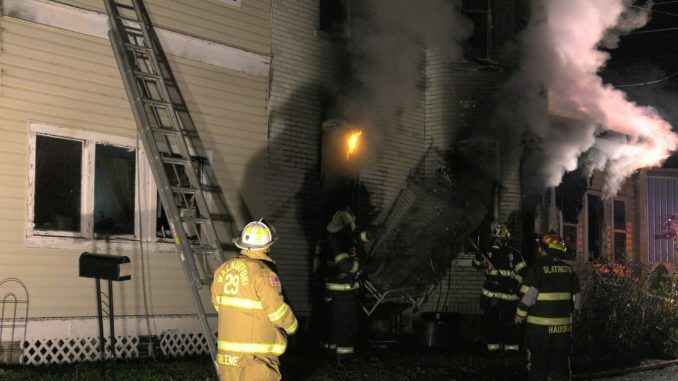 Exotic Birds killed in 2-alarm fire in Walnutport, PA.
At 00:45 Saturday morning Lehigh County transmitted the box for a house fire at 111 Main Street (x Carbon St.) sending stations 29, 24, 47 and EMS 67. Police arrive moments later and report fire showing. The fire officer responding to the scene orders the second alarm to be transmitted. 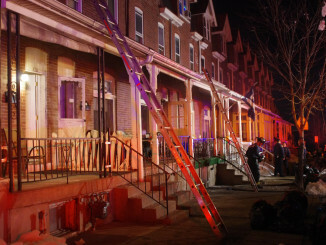 Once on scene, he reports fire showing from a 3-story dwelling. Ladder’s 29 and 24 position in front of the building and stretch a total of 4 hand lines. Lehigh Township’s 47 Truck positions in a parking lot on side 4 (east) and go to the roof to cut a vent hole. 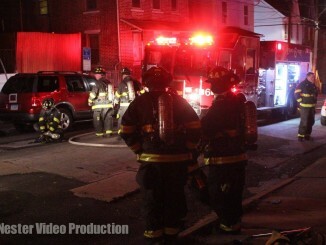 Firefighter’s darken down the bulk of the fire quickly and open up walls to check for extension. Slatingtons 24 Truck ladders the roof from the front of the fire building and cut a second vent hole to let the heat escape while interior crews continue to check for fire extension. A search of the dwelling found numerous exotic birds and a dog dead. The fire was put under control an hour later. The crews remained on scene performing extensive overhaul. The Fire Marshal is investigating the cause of the fire.